Are you moving home? Buying, selling or remortgaging your home in Cheltenham? You can get an online instant fixed fee conveyancing quote from an impartial, accredited licensed conveyancer or solicitor, in the area where your property is located. Buying residential property in Cheltenham? 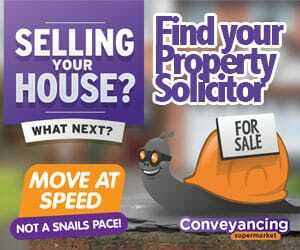 Save money and time by using our purchase conveyancing quotes market comparison service. Simply enter your details into the remortgage conveyancing quote calculator below then compare Conveyancing Solicitors in Cheltenham in order of price, location and lender if required. Our expert legal panel, made up of UK regulated solicitors and licensed conveyancers, can provide you with a fast efficient conveyancing quote in Cheltenham. You can get advice on Conveyancing in Cheltenham from any of our solicitors without any obligation from you to instruct – simply get a quote and arrange a call. Your dedicated Cheltenham Conveyancing Solicitor will contact you regularly to update the progress of your transaction. Cheltenham is a spa town that is located in Gloucester. Cheltenham railway system that gives the town links to London, the South West and North West. The town is also next to the M5, giving the town easy access to the M5. It also has the national express Coach services to run and from Heathrow Airport. The buildings in Cheltenham are designed to have a Recency design. They also have a lot of listed buildings. Cheltenham also hosts 2 annual musical events, The Cheltenham Music Festival and the Cheltenham Jazz Festival. Furthermore they also host science and literature festivals. They also have a multitude of other sculptural art pieces. The town is located next to Cotsworld, which is class-offed as an area of natural beauty. The town was also listed as one of the most safety town for university students in 2013. The town also has many bars and restaurant at the south of the promenade. In conclusion, the town sports a rich amount of leisure activities and a unified architecture design across the city. The town also has transportation which allow travel to to major cities and different regions of the England. Enter your property details and view conveyancing quotes in Cheltenham. Q: We are thinking of buying a property but are on a tight budget. Who are the cheapest conveyancers in Cheltenham? A: There are High Street conveyancers in Cheltenham that will advertise cheap packages, all-in-one discounts and special offers. However, these may not be quite what they seem. The required searches cost a few hundred pounds when added together, so there are sure to be other charges not advertised in the shop window. Visit conveyancingsupermarket.com to compare a panel of trusted conveyancing solicitors, all of whom have a solid track record. You will find quotes for the whole process, with a guarantee of no extra fees. Q: Is Stamp Duty in Cheltenham higher or lower than the national average?